Is your cat playing with these common household items? If so, you might want to rethink playtime. Cats are the best, right? They’re independent, full of personality and just plain fun to be around. But cats present unique challenges for us. Unlike dogs, who spend most of their time on the ground, cats can jump, climb and reach objects that instantly become a plaything. It’s up to us, then, to cat-proof our homes so our pets stay healthy and happy, despite their best efforts to worry us silly with their antics. 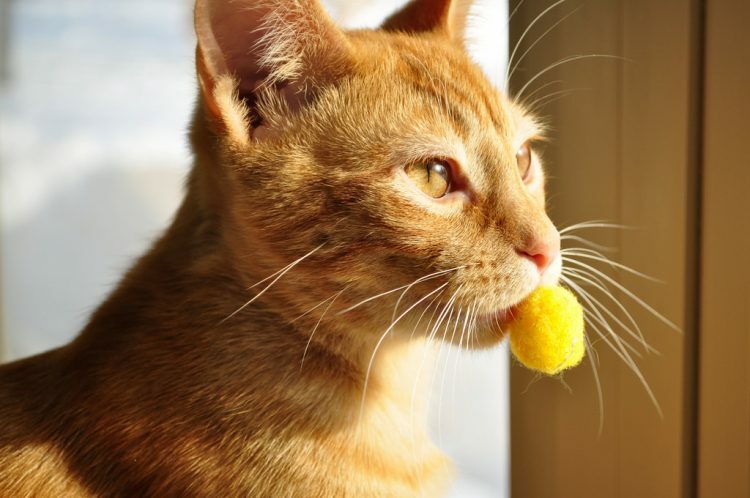 Here are 6 things your cat may think of as toys — but they definitely aren’t. Amaryllis, dieffenbachia, English ivy, mistletoe, narcissus, philodendron and lily plants are just a few household flora that can cause a toxic reaction in your cat if ingested. The ASPCA has a list of all plants that are toxic, and it’s pretty long. Take inventory of your household plants, and get rid of those that can harm a cat. And don’t just put them “out of reach” — cats are smart and will find a way to get to them. Cats love the fun crinkly noise that foil makes, and you can roll it into a ball for chasing and batting. But — and I really hate to be a downer here — aluminum foil is just not safe for cats. Cats may easily tear pieces off, swallow them and then need surgery if the pieces perforate the stomach lining. If you’re looking for something easy to crumple up into a ball for your cat, use a plain old piece of paper. Remember to keep these items safely stored and out of sight. Electrocution is a real danger if your cat has a penchant for munching on electrical cords. To discourage this behavior — and save your cat’s life — try using bitter deterrent sprays or pet-repellant cord coverings. It’s cute when your kitten pounces on your hands or feet, but as she gets older, you’ll find this behavior is less cute — and much more painful. Also, because she will see all hands and feet as her playthings, any visitors to your home may suffer the consequences of this early behavior. My cat loves to climb into bags. If I leave one out, it’s a safe bet that he’ll be inside it in a matter of minutes. Paper bags with no handles are acceptable for cats to play with, but plastic bags should be avoided for the same reason we keep them away from our toddlers: Cats can get wound up and trapped in the bag, leading to suffocation. 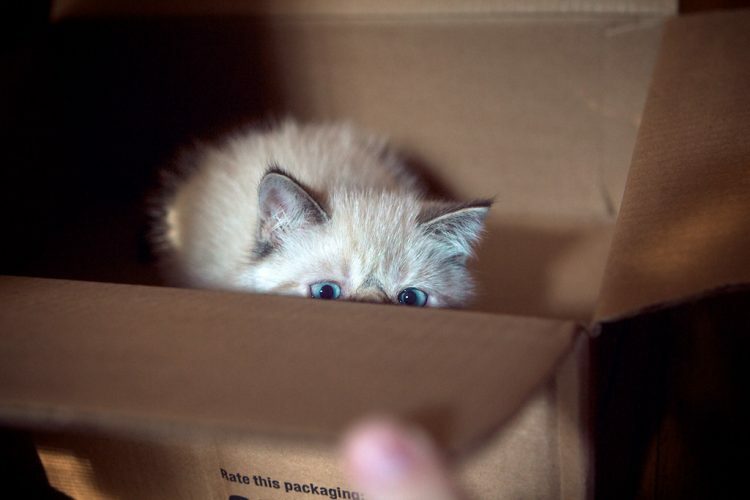 As we all know by now, cats love cardboard boxes, so use those instead of bags, and your cat will never be bored a day in his life with this new toy. Cats are intelligent, fun and beautiful animals who bring us years of joy. But they also need us to be vigilant about their safety because, well, they may not always land on their feet.